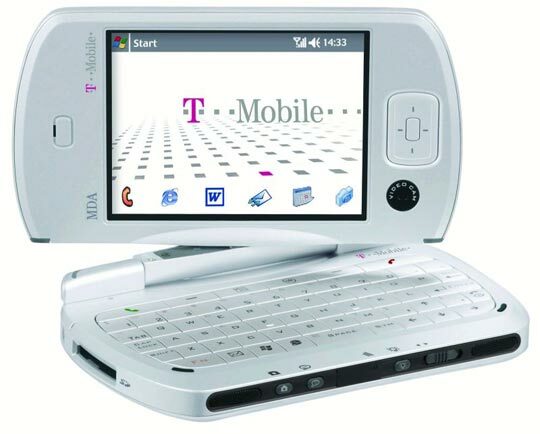 The T-Mobile MDA Pro is the fourth-generation PDA in the MDA product family. Unlike the smaller MDA Compact, its physical design has more in common with a laptop than a traditional PDA. 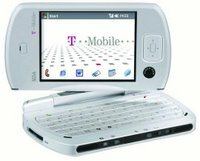 It is shaped like a notebook PC with one half of the unit housing a full Qwerty keyboard and the other a touch-sensitive display. The screen can be rotated 360º and folded against the keyboard like a convertible tablet PC, but the hinge isn’t particularly strong and, on our model, became a little loose. One could argue the MDA Pro is too big, at 132mm widex 22mm high, and weighs a rather hefty 210g, but if it were any smaller it would be too fiddly to use. The MDA Pro can be used as a tri-band mobile phone, is 3G-ready and has an integrated 802.11b wireless adapter so you can get online at Wifi hotspots. It will also function as a wireless modem if you connect it to your notebook or PC via Bluetooth or a USB cable. If you work on the move, the MDA Pro could well be a substitute for your notebook PC. Its keys are fairly large, which allowed us to write this review on it quite easily. It also supports Push email technology, so your Pop3 email messages can automatically be sent to the handset as they arrive.Another neat touch was its 48MB of non-volatile memory – this reduces the chances of data loss should the battery die. The MDA Pro’s only real flaw is its conspicuous size when used as a mobile phone – you’ll get a few strange looks when you hold the device flat to your ear. A hands-free kit is included and we’d recommend using it but, on the whole, the MDA Pro is difficult to fault.